At 34 Park Ave in Bay Shore, New York, a brick exterior wall hides a turquoise room with a disco ball hanging from the ceiling. Inside, 30 people are saying goodbye to the place that gave them shelter for 16 years. “This building has been the lifeline for so many,” Samantha Kutcher, a member of the LGBT Network, said. A rainbow flag made of wood panels hangs on the wall behind her and a sign that reads, “Farewell (for now) Bay Shore Center” anticipates a moment that has been in the making for two years. 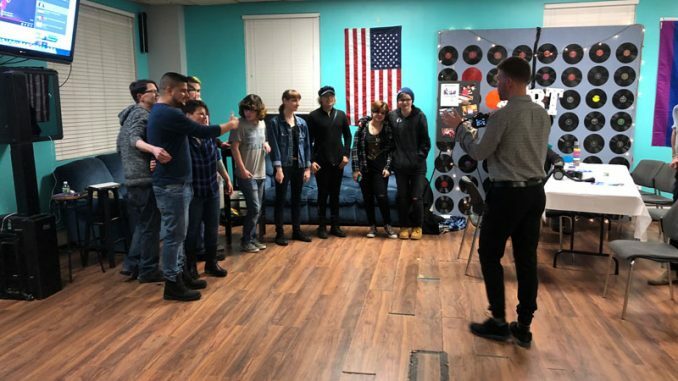 On Friday, March 22, members of the LGBT Network, a social services organization serving the LGBT community of Long Island and Queens, hosted a party to say goodbye to one of its centers. Before closing last week, the center was a location where at least 1,000 people a month went for HIV testing and attended social events for empowerment and support. The 16-year-old structure is being torn down this April to make room for 75 units of budget-friendly residential properties, which will be built by The D&F Development Crew and expected to be ready for use by May 2020. Attorney Paul Millus, however, believes that the standard will be impossible to regulate. Board members at the Town of Islip voted unanimously in favor of the project in September 2017. The rent for a unit in the new building is expected to range from $1,000 to $1,600 a month per unit. The average price for renting an apartment in Bay Shore is around $1,715 according to RentCafe, an online listing service for finding living rentals. The Bay Shore center was first opened in 2002, but the network has existed since 1993 under the Long Island Gay and Lesbian Youth (LIGALY). A new center will be built in Hauppauge for members of the Bay Shore center to continue to gather and is expected to be four times larger.